Bailey Eco-Roof is one of the only entirely ¿green¿ systems in the market place. 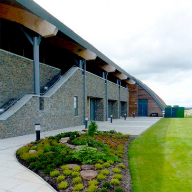 Intensive and extensive planting coupled with a sustainable waterproofing layer, creates a roof which is both environmentally responsible and beneficial. 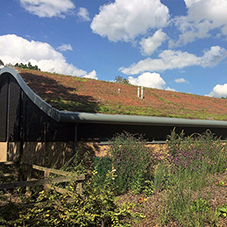 Bailey Eco-Roof green roof systems offer the specifier a range of vegetation, plants and application methods to meet the intended use and aesthetic demands of the project. 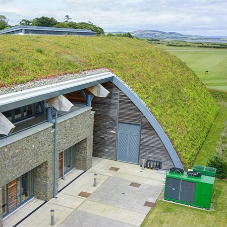 Eco-Roof green roof systems offer many advantages to both the specifier and the client. 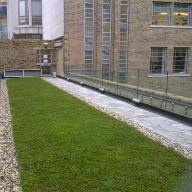 Apart from introducing a creative dimension to the flat roof project, Bailey Eco-Roof provides many financial and environmental benefits, including; reduced heating and cooling costs, rainwater attenuation, reduced flood risk, improved visual appearance, reduced CO2 pollution, heat absorption, reduced noise pollution and provision of a natural habitat for displaced flora and fauna. Eco-Roof green roofs are available in 3 main types of planting; intensive (including semi-intensive), extensive and biodiverse (brown roofs).